The market has been volatile in the fourth quarter as the Federal Reserve continued its rate hikes to normalize the interest rates. Small cap stocks have been hit hard as a result, as the Russell 2000 ETF (IWM) has underperformed the larger S&P 500 ETF (SPY) by nearly 7 percentage points. SEC filings and hedge fund investor letters indicate that the smart money seems to be paring back their overall long exposure since summer months, and the funds’ movements is one of the reasons why the major indexes have retraced. In this article, we analyze what the smart money thinks of D.R. Horton, Inc. (NYSE:DHI) and find out how it is affected by hedge funds’ moves. D.R. Horton, Inc. (NYSE:DHI) shareholders have witnessed a decrease in enthusiasm from smart money of late. DHI was in 47 hedge funds’ portfolios at the end of the fourth quarter of 2018. 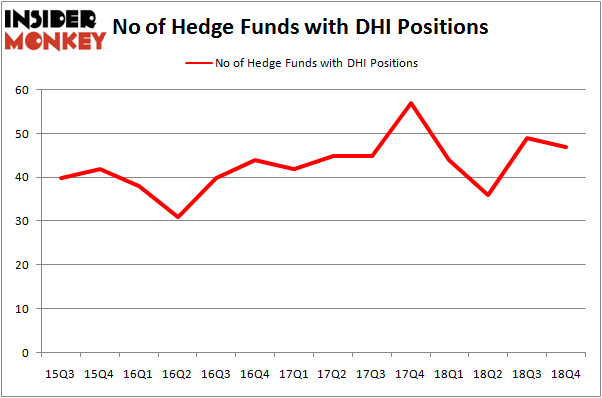 There were 49 hedge funds in our database with DHI holdings at the end of the previous quarter. Our calculations also showed that DHI isn’t among the 30 most popular stocks among hedge funds. We’re going to take a look at the new hedge fund action surrounding D.R. Horton, Inc. (NYSE:DHI). How have hedgies been trading D.R. Horton, Inc. (NYSE:DHI)? Heading into the first quarter of 2019, a total of 47 of the hedge funds tracked by Insider Monkey held long positions in this stock, a change of -4% from the previous quarter. On the other hand, there were a total of 44 hedge funds with a bullish position in DHI a year ago. So, let’s examine which hedge funds were among the top holders of the stock and which hedge funds were making big moves. Among these funds, Long Pond Capital held the most valuable stake in D.R. Horton, Inc. (NYSE:DHI), which was worth $448.2 million at the end of the third quarter. On the second spot was D1 Capital Partners which amassed $363.1 million worth of shares. Moreover, Greenhaven Associates, Millennium Management, and Renaissance Technologies were also bullish on D.R. Horton, Inc. (NYSE:DHI), allocating a large percentage of their portfolios to this stock. Because D.R. Horton, Inc. (NYSE:DHI) has faced a decline in interest from hedge fund managers, it’s safe to say that there were a few funds who sold off their positions entirely last quarter. 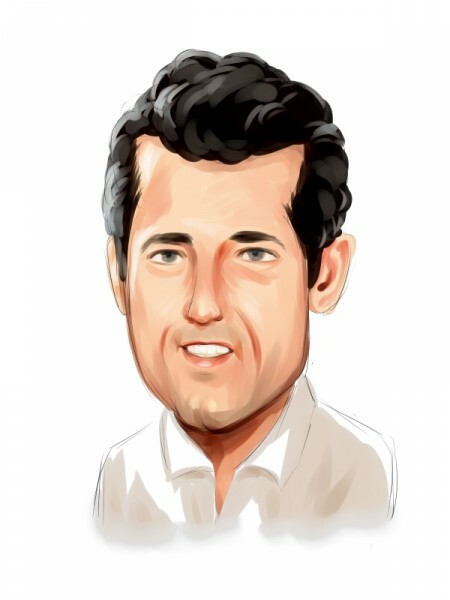 At the top of the heap, Joshua Kaufman and Craig Nerenberg’s Brenner West Capital Partners sold off the largest position of the 700 funds tracked by Insider Monkey, valued at about $52.3 million in stock. John Brennan’s fund, Sirios Capital Management, also cut its stock, about $47.4 million worth. These moves are interesting, as aggregate hedge fund interest fell by 2 funds last quarter. Let’s also examine hedge fund activity in other stocks – not necessarily in the same industry as D.R. Horton, Inc. (NYSE:DHI) but similarly valued. These stocks are Lennar Corporation (NYSE:LEN), Annaly Capital Management, Inc. (NYSE:NLY), MGM Resorts International (NYSE:MGM), and Coca-Cola FEMSA, S.A.B. de C.V. (NYSE:KOF). All of these stocks’ market caps resemble DHI’s market cap. As you can see these stocks had an average of 32.5 hedge funds with bullish positions and the average amount invested in these stocks was $980 million. That figure was $1783 million in DHI’s case. Lennar Corporation (NYSE:LEN) is the most popular stock in this table. On the other hand Coca-Cola FEMSA, S.A.B. de C.V. (NYSE:KOF) is the least popular one with only 6 bullish hedge fund positions. D.R. Horton, Inc. (NYSE:DHI) is not the most popular stock in this group but hedge fund interest is still above average. This is a slightly positive signal but we’d rather spend our time researching stocks that hedge funds are piling on. Our calculations showed that top 15 most popular stocks among hedge funds returned 19.7% through March 15th and outperformed the S&P 500 ETF (SPY) by 6.6 percentage points. Hedge funds were also right about betting on DHI, though not to the same extent, as the stock returned 18.1% and outperformed the market as well.